A devastating Twitter prank yanks Hannah out of the popular crowd and turns her into the high school’s best bad joke. Determined to finish the year and graduate, Hannah must keep the humiliating details from her impulsive mother—who just might pack up their belongings and move. Again. Hannah hovers below the radar by submersing herself in a new routine. Post-it notes, Dewey Decimal numbers and carefully planned trips to the library are her refuge. That is, until a persistent new student invades her space. Lucas has complete disregard for Hannah’s cynicism and snark, and he seems to know the bullies who targeted her. Can Hannah trust him, or is he part of another ploy to torment her? 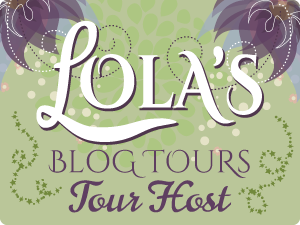 I thought I would start the new year by reacquainting myself with my love for all things YA and I am so glad I picked Rosie Greenway's debut to do that! 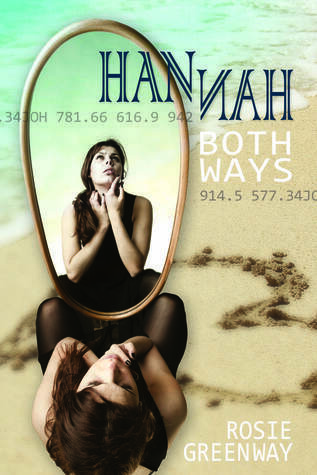 Hannah Both Ways has all the elements you expect in a YA novel and is so much fun to read that you'll find yourself unable to put the book down. We meet Hannah a few months after the cruel prank played on her by people she thought were her friends. She goes from being one of the popular kids in the cheerleading squad to being a social pariah in school who no one wants to know or be associated with. And all because of false rumours about her that were spread on social media. After the fallout Hannah becomes invisible and following a sign from the universe spends her lunch breaks in the library with a random book picked out using a random number from the Dewey decimal system whilst eating celery sticks dipped in peanut butter (and I loved her reason for that). I also loved Hannah's love for words and knowledge, she reminded me a lot of myself in school wanting to get my hands on as many books as I could and learn as much as I could. And then enters Lucas Owens. The new kid at school who takes an instant interest in Hannah, and Hannah, having learnt the hard way that people can be cruel, is instantly suspicious, not that you can blame her. No one in the school wants to know her and here is Lucas hellbent on getting close to her and getting her to open up to him. I think anyone would be suspicious of him if they had gone through what Hannah had. Even I have to admit I wanted to be a little suspicious to begin with, especially when Hannah saw Lucas speaking to one of her former "friends" in the hallway, but it's so hard to suspect Lucas! He is so open and honest and I think knowing he knows what it's like to be the subject of false rumours makes him want to reach out to Hannah. "I've been in your corner since the first day we met. I'm not giving up on you now." Too. Much. Cute. Then there's how he is always there for her, helping her and when Hannah can think of no one else to contact, he comes to her rescue when she's being hounded by Dallyn (one of the key people who helped to start the rumours) even though their last encounter went nothing like it was supposed to. I think that just shows how much he cares about Hannah that he would drop anything to come and help her out. There's another thing I loved about Lucas as well, his relationship with Nancy, his cousin. He is so sweet and patient with her and you can truly see how much he loves her and she loves him in return. They need each other in their own way and I loved watching Nancy and Hannah interact, you can see that Nancy trusts Hannah and there's one scene in particular that I loved reading because it showed just how much Hannah cares for Nancy where she puts herself out of her comfort zone to go seek out Lucas and get Nancy the help she needs. I could tell from the start that Hannah needed Lucas and, in the end, she sees this too, he helps to push her out of her comfort zone while making sure she knows that he is there for her through it all. Isn't that just what every girl wants? Someone there to hold their hand but who also knows when to push you and when to stop. Lucas has this down to a tee in this book once they're a couple and I honestly think Hannah would never have been able to stand up to the people who hurt her the way she did. This book also deals with something that not many books deal, it looks at the impacts of Autism and Dyslexia on school life. Lucas is dyslexic and Nancy has Aspergers Syndrome, a form of autism. We see how this impacts not only their lives but the way they are perceived by their peers and I hate how they were judged by so many others, I just wanted to hug them both. A lot of people judge them on the fact they have Dyslexia and Autism and don't see them for who they are but Hannah does and I loved that. I guess the one thing this book really drills home is the impact of social media at school. I'm in my mid-twenties and when I was in school social media and the role of the internet in socialising was just starting, we had Bebo, MySpace and Facebook (just as I was finishing up my schooling) and it's scary to think of social media being used to bully someone. It's horrid to think that there are kids out there battling bullying through social media. I really did enjoy reading this book and it reminded me why I love YA so much and I cannot wait to read Rosie's next release.